It is rarefied air that Etnica breathes in the heights they have achieved through consistently releasing refined records. 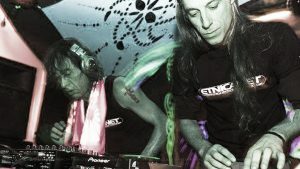 The pioneering group Etnica is composed of Ibiza-based producers Max Lanfranconi and Maurizio Begotti from Milan, Italy. 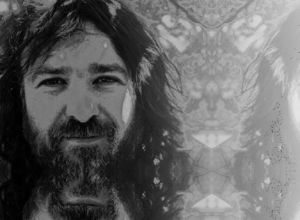 The two of them along with Carlo Paterno and Andrea Rizzo, who were part of Etnica as a quartet, profoundly influenced the psychedelic trance movement. Their sound, distinct from others in the Goa Trance scene, takes you on an immersive journey. They maintained this spacey and cosmic sound which would prevail in most of their releases to date. 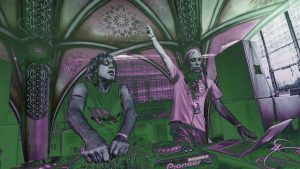 Beginning in the late ‘80s, Etnica has been altering the sound and look of psychedelic trance with their undeniable talent and original sense. They are trail-blazers of the movement and have been mesmerising audiences with their live performances for many years. They are the headliners at many international lineups and have been favourites in many festivals around the world. Etnica released their first EP on Brainstorm in 1994 titled The EP. Their first full-length album, The Juggeling Alchemists Under The Black Light, was released a year after on the German label High Society. These first few releases increased their popularity among the followers of the psytrance scene. Their second album Alien Protein released in 1996 on Blue Room Released, received high acclaim and is still regarded as one of the best Goa Trance albums. In addition to producing music with the Etnica project, Lanfranconi and Begotti, in cooperation with original Etnica band members Carlo Paterno and Andrea Rizzo, began a side project called Pleiadians. The project, with party-goers in mind, showed unique musical craftsmanship from these four Italians whose sci-fi classics have stood the test of time. The first release as Pleiadians was an EP on Symbiosis Records which came out in 1995. Their first album, the massively popular and one of their most memorable, Identified Flying Object, came out in 1997 on Dragonfly Records, as well as, Family of Light, two years later. Another, more recent album of theirs, came out in 2006 titled 7even Sister7, named after the seven-star cluster that makes up the Pleiadian star system. In 1998, the band officially separated in half and would only be carried on by Max and Maurizio after the two decided to relocate their studio to Ibiza. Andrea still worked with the two of them on Etnica’s third full album Equator (1999) but would also leave the band right after. The turn of the millennium saw a change in Etnica’s sound to be more mature and refined and one that was in line or exceeded modern standards of production at the time. 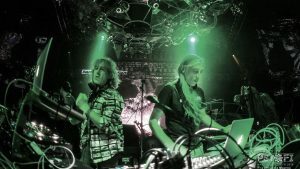 Having already received worldwide critical acclaim for their pioneering sound and everlasting mark on the Goa Trance scene, the duo were out to prove that they could evolve their sound and reach even broader success. The fourth studio album Nitrox (2001) showed this evolution in their sound and was very popular on dancefloors once released. The album that followed a year later, Chrome, had changed even more, with an evident and sophisticated level of production that was successful enough to be released in two versions for Europe and Japan, followed by their sixth album Sharp (2004). Their reach as musicians extends beyond the international electronic music scene to include projects for Sony PlayStation game Gran Turismo and engine sound design for Italian companies such as Ferrari and Ducati. Among many prestigious awards they’ve achieved, in 2005 Lafranconi received 2005’s Best DJ prize at the Ibiza DJ Awards. Through their record label Etnicanet, the duo have sparked many new scenes in some of the biggest festivals and clubbing spots. By 2010, Etnica introduced their latest cutting-edge recording studio Soundfarm in Ibiza which continues this legacy of evocative sound. Besides delivering a 1-hour live set for this feature, Max Lanfranconi and Maurizio Begotti took part in our interview feature mainly focusing on their experiences as part of Etnica. Can you tell us more about the early days of Etnica, how was the group formed and how did you find your common interest as team members? We started producing music in the spring of 1992; before that, each one of us had past experiences in the world of music, events, and DJ’ing. 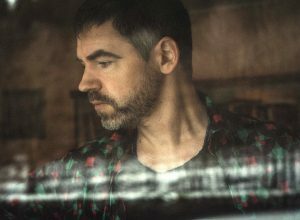 Max [Lanfranconi] was already a well-established DJ in Milan, Ibiza, and Latin America. Maurizio, Carlo and Andrea had met at parties and discovered they had the same taste in electronic music and wanted to create something special and unique, inspired and enthused by myriad dance floors and countless experiences during the years. All the original members come from Milan, the artistic, historical and multi-faceted city where we started our journey as Etnica. So many to list, but off the top of our heads are Front 242, Kraftwerk, Depeche Mode, Tangerine Dream and styles as New Beat, Acid House, and everything in between and beyond. What concepts do you try to evoke with your music? Can you describe your approach to art and being an artist? Etnica’s sound is known worldwide and throughout the years as being very melodic and uplifting. Since ours is a “functional” musical genre, as much as being a genre for the mind and soul, specifically devised for dance floors; a central concept for us has always been bringing people from across the world and from all walks of life together, to enjoy and celebrate life through the dance ritual and the irresistible meltdown only music can give. Music and dance are like oxygen we breathe every day. What was the reason for you moving to Ibiza? The “White Isle” has always been our favourite destination for the summer season, since we were teenagers. With the development of a strong, international music scene and by also becoming one of the most popular residential destinations for many producers, it came to us as an easy move. Milan and “big city life” got really “tight” at a certain point. Tell us more about the process of how you work on a project, including the gear you use? Music production technology has incessantly changed so much since we started; nowadays we still use the old classic analog synths we’ve owned since the ‘90s, plus all the new possibilities that computer-based digital recording has given us. So I would say we take the best of both worlds. The analog synths really make it easier for us to express our trademark sound. Korg MS-20, Roland SH-101, deeper custom modular system, Eventide Orville, Focusrite Red 7, Nord Rack, and countless plugins—recently loving the Sinevibes collection and FabFilter. What keeps you going back into the studio? We are enamoured with late-night musings and inspiration from an immensity of dance floors throughout decades; memorable moments while touring; unforgettable happenings while travelling the world over; and new ideas that come in the most unexpected, outrageous, and craziest moments. We of course also produce at home whenever inspiration visits. What do you think contributed the most to create your Etnica distinct sound? Travelling around the world gave us a lot of inspiration. Sounds we recorded from nature and magnificent ecosystems during our globe-trotting, as much as voices and chants from peoples of the magnificent places we visited, these have been sampled and peppered all over our earliest tracks, for instance, Our Equator album comes as a clear example, where we sampled local African sounds for “Trip in Transkei” or even the exquisitely rhythmical, modular, tropical birds sampled close to our Jungle Palace studios in Brazil for “The Dominator” track on the Polar EP. How do you think your sound has evolved since your first album The Juggeling Alchemists Under The Black Light? Our first release happened on Brainstorm, after which came The Juggeling Alchemists Under The Black Light, and then the much acclaimed Alien Protein on Blue Room. In all these years, we focused on having the best possible production standards by embracing technological advancement in all its glory—our priority has always been to maintain that specific, trademark “Etnica” vibe to our sound, always with the fans in mind. What are your opinions regarding the direction that psytrance has taken; the genre’s progression? Psytrance has nowadays given birth to many different genres and sub-genres, so giving an opinion on the direction, across the board, is really tough. Some of the stuff that we call psytrance today is becoming a bit too flat and soulless in our opinion. There will be further changes and morphing, as our beloved genre keeps evolving with time and the exquisite influx of new generations. Music production gear also is shaping the sound of today, but luckily there is a comeback to analog gear and the recent big interest in the old school sound is welcome. To us it’s always been about “electronic dance music,” and we love so many different breeds and genres. Also, we have been living in Ibiza for well over a decade now—our studios are flooded with pretty much all kinds of music, and though the rise in the number of artists and labels, it has inevitably lowered the general quality standards, we still keep finding incredible gems amid the ever-expanding vastness. Can you recall one of your favourite moments as being part of this music scene? The earliest years when everything was “happening for the first time” both in the Goa Trance scene and our adventure as Etnica and Pleiadians. Each time we released one of our artist albums, an infinity of live performances around the world. Our unforgettable festivals and parties in Venezuela, Goa, Ibiza, South Africa, Brazil, etc. We truly celebrated every occasion: chasing eclipses, celebrating the New Millennium, full moons, Celebra Brasil was truly the first international festival of its kind and calibre in Brazil, all those years ago. Considering that you have your own label, can you tell us more about your work within the label and your relations to other artists that choose your label to release their work? Our label was conceived in Ibiza at the end of 1999, just a few years after our move to the Island from Milan, and at the same time as our South Africa 2000 Millennium Festival, which at the time involved all of the biggest and most beloved names of our gorgeous, international scene. The label was really a natural evolution of both our artistic journey as well as the numerous relations we’ve always enjoyed and nurtured with artists, labels, influencers, movers and groovers from all over the world, since the beginning of our careers and the genesis of the wondrous Goa / Psytrance phenomenon. Our philosophy, from the beginning, was to focus on only a few releases, but to maintain the highest possible standards, in order to offer our public artistically valuable products devised not only for dance floors and DJ stash bags, but to be collectable items. We’ve always made it a point to work with our favourite artists and those whom we most appreciated, as well as discover and launch upcoming talent worldwide. The biggest example of this is Wrecked Machines, who released his debut album, vinyl single, and various tracks on our label. The label was, of course, supported by our state of the art recording facilities, Soundfarm Studios, which to this day remains among the leading facilities of its kind in Ibiza. 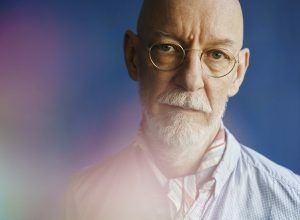 Young Kim, an important member of Etnicanet since the beginning, has been at the helm of the label for several years now, with Max as owner and founding member, and Maurizio as an artistic director who also commandeers the Soundfarm starship. 2018 will be a particularly interesting year for us as we are ready to release the new Pleiadians album, and are putting the finishing touches on the new Etnica album as well as Young’s new epic compilation Totemism 3. This year will also see a string of digital EPs which will showcase various collaborations, remixes, and singles by upcoming talent from around the world. 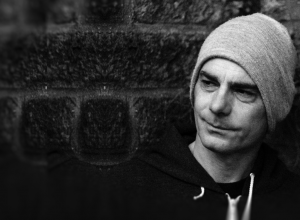 Since Young has been with us since the beginning and is considered to be among the top DJ’s in the scene, we asked him to record a mix that traced our journey over the years, both as Etnica and as Pleiadians. We decided to leave out the earliest part of our discography (specifically, the Goa Trance years) as the difference in sound quality within the mix would have been considerable, but rest assured that it is an extremely well-crafted, exquisitely entertaining journey that segues through various hits, B-sides, and unreleased versions, all the way from the early noughties (the 2000’s) until present day and also includes upcoming tracks that will soon be released on Etnicanet Records. 12. Pleiadians – I Believe!